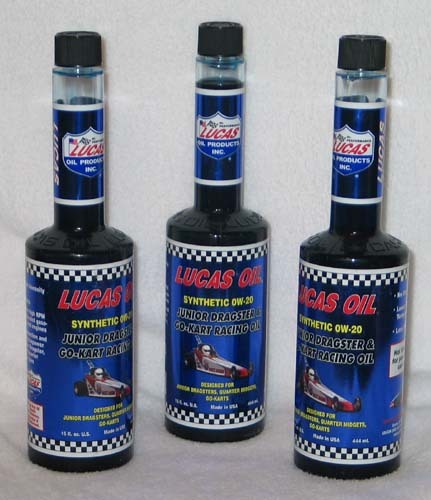 Formulated specifically for today's high horsepower, close tolerance Junior Dragster engines, the new Lucas Synthetic 0W-20 Junior Dragster Oil provides excellent protection and maximum horsepower gain. Starting with their race-proven 0W-20 Pro Stock Fully Synthetic Oil, Lucas blended additives for superior protection in methanol-fueled engines. 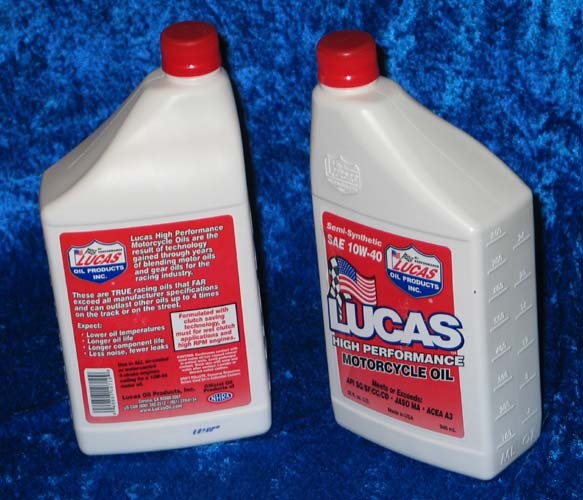 Lucas Junior Dragster Oil has undergone extensive dyno and on-track testing by the leading professional engine builders and has become their oil of choice. Available in convenient 15 oz. bottles for quick service or 160 oz jugs. The 15 oz. bottles are graduated so you can be ready with the right amount of oil each time. Lucas 10W-40 Motorcycle Oil is a winner in Junior Comp applications as well. It is blended to not only protect high-revving engine parts, but also to protect the Junior Comp wet clutches as they shift. This is a true racing oil designed for high performance applications.